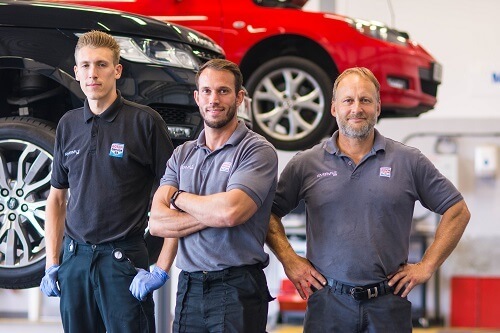 Rivervale are based in Portslade, Brighton and are specialists servicing and MOT of any make and any model of car or van. 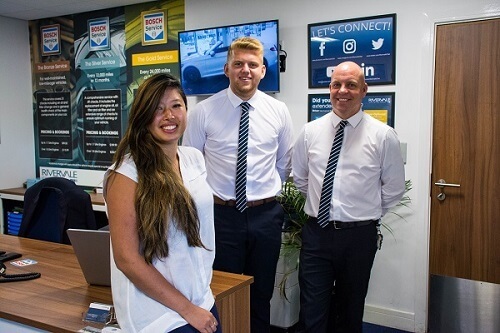 We are a one stop shop in Sussex for ALL vehicle requirements, providing a variety of funding options on new and used vehicles as well as all the necessary after sales care. We cater to everyone from private individuals servicing their family vehicle to companies looking to source maintenance for their fleets, in any scenario we can offer the best options to keep you on the roads safe and legal. Our new state of the art Bosch Car Service centre opened in November 2016 complete with class 4 and class 7 ramps and MOT facilities to service both cars and vans. All of our technicicans have been through the approved Bosch training programme and are equipped and educated to use the latest disgnotic equipment to pinpoint faults quickly. We use Electronic Video Diagnostic software to show our customers via video mobile phone and email messages any issues we find with their vehicles beofre we proceed on any job. This means you the customer is always in control of your servicing and repair costs and can make informed decisions on any work your vehicle may require. As well as being able to service and MOT any make and any model of car or van we also have brand approved expert staff for both Mercedes-Benz and Mazda drivers. We are the future of vehicle servicing.